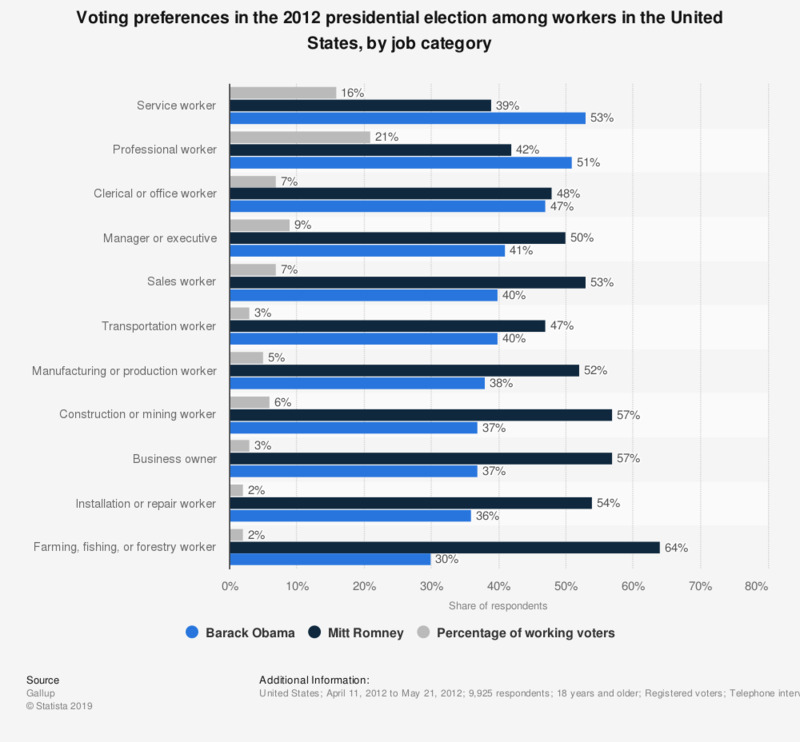 This statistic shows the voting preference of workers in the United States in 2012, divided by job category or area of work. In 2012, 51 percent of professional workers surveyed preferred Barack Obama to Mitt Romney. Included in the catagory professionals: lawyers, doctors, scientists, teachers, engineers, nurses and accountants.